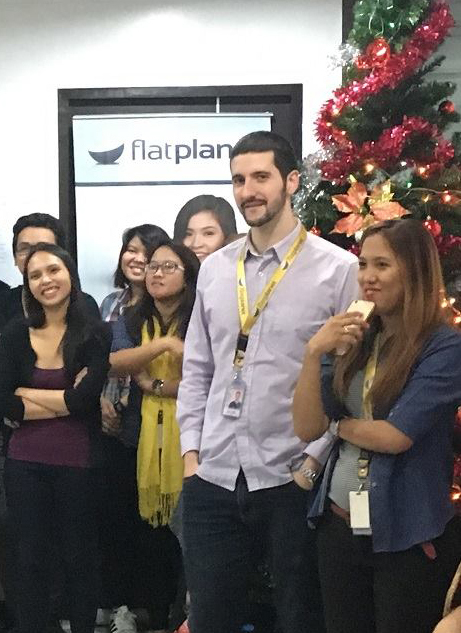 Derek Stewart, BCom (2012), Business Improvement Manager at Flat Planet, a family-owned and three time BRW Fast 100 Virtual Talent business in the Philippines, shares his top ten tips for launching your career in Asia. As the New Year gets underway, many of us contemplate our careers – where we are, where we want to go and how we are going to get there. That’s exactly what I did four years ago. I was working as an accountant in Melbourne and not particularly enjoying it, I decided I wanted a change. New job. New company. New industry. With so many big changes, why not a new country too? I wanted something different from the typical western cultures like USA or UK, and found myself working for an Australian company in the Philippines. I packed my life into a 12kg backpack and bought a one way ticket, and discovered a lifestyle, community, a rewarding career and a new-found perspective on life. At a weekly staff meeting in the Manila office. Living abroad for nearly four years, I have met hundreds of other expats all over Asia. It can be daunting to pack up your life and ship out for the unknown. Here are 10 different ways I have seen people, including myself at different points in my career, successfully live and work in Asia. This is the most common way for corporate employees to find themselves working abroad. It is very normal for a senior manager or executive of a multinational to be sent to a new location, either on secondment or to run a location as a Country Manager. Generally more junior transfers or secondments are between Australia to USA or UK, but can potentially be to Singapore or Hong Kong. Some big companies have expression of interest programs to assist employees in relocating to overseas branches. For some industries, like hotels, it is very common. When considering companies to work for, look at their global presence. Some companies sell to many markets but all their corporate HQ and shared services are centralised. AIESEC is a youth run organisation for those looking to volunteer or intern abroad. Most do 4-8 week volunteer placements with NGOs, charities or social enterprises. They do have professional internships ("Global Internship Program" [GIPs]) all over the world, including plenty in Asia, with many well-known companies. AIESEC gives you an instant network with the "local committee" in your chosen destination who receives you. This is how I began my journey, doing a six month paid internship, which lead me to being absorbed into the company and working there for 2 years. Then I transferred as a direct hire to a different company, through a mix of networking and a direct application, where I have worked for the last 18 months. Makati CBD, the main business district in Manila with a growing population of expats from all over the world. Depending on the country, some areas of Asia are more willing than others to hire foreigners, simply by making a direct application through the normal online job process. Consider the local wages in the country you are applying within. Going through other channels can let you tap into a much different rate than what a local would earn, and with other inclusions such as housing, allowances or free flights home each year. You exist in an undefined niche market, so how well you negotiate is very important. Many realise too late just how important this is. Try to connect to the local "expat" scene and work from there. There are foreign chambers of commerce in all major cities, expat sports teams, plus expat food and drink venues. LinkedIn is also a goldmine and lets you reach out directly with a targeted search, such as searching by University of Melbourne alumni located where you want to work. 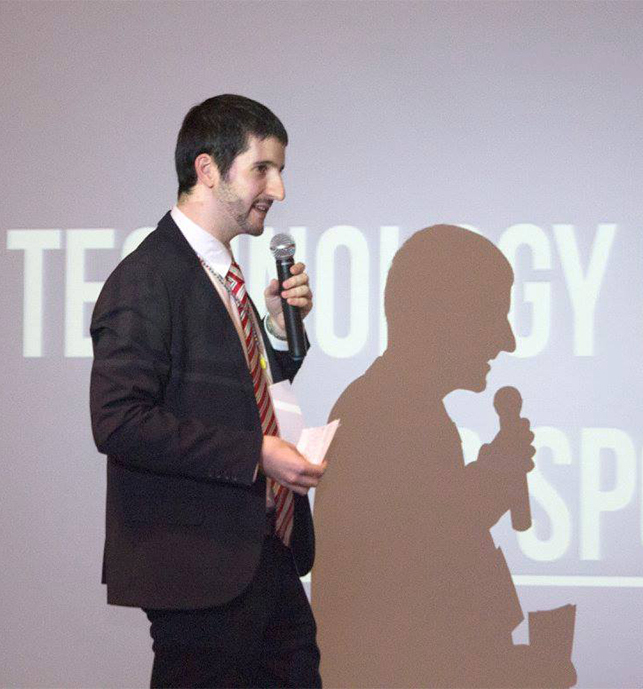 I have spoken to dozens and dozens of people – face-to-face and virtually – about working abroad, and am always happy to talk to those considering their options. Many have success networking directly with executives or country managers (easier than you think, even as a young professional, when you share an expat bond). This is a very popular option, particularly in Japan, Taiwan, Korea, China and Vietnam. Requirements vary dramatically, but many just require a Bachelor Degree and maybe a short English course, if you are a native English speaker. It may not be what you want to do long term, but in the short term it can be quite lucrative, offering flights, accommodation, work permits and a very reasonable salary compared to the cost of living. In some countries working in the corporate world requires you to speak the local language, so teaching English may be one of the only types of work you can do. It can be a stepping stone into a community and broader geography, allowing you to live in the area and leverage your next opportunity. Speaking at a HR conference in Manila. Many additional opportunities can arise when you step out of your comfort zone. Many recruiters will not serve the market of expats looking to work in Asia, but if you have a specialised skill set this will sometimes be an option. Others may be able to assist in placing you as a local hire, or be able to highlight opportunities specific for expats. Expats working in recruitment in your chosen country are great to talk to. They can help you make necessary connections and introductions and have been through the journey themselves so will have a high degree of empathy for your situation. Starting as a consultant requires little except knowing valuable information and being able to find a market of people who are willing to pay for you to solve their problems. Many expats work as sole proprietors, doing anything from sales training, cross-cultural training, IT consulting, process improvement, marketing strategy, virtual CFO or other services. This lowers the barrier to entry as you do not need to find someone who needs a full time role, just project by project, someone who has a problem they need solved badly enough that they are willing to pay you to solve it. Sometimes you can take your current job with you when you leave for abroad. Many knowledge workers, especially in more progressive tech savvy businesses allow staff to work from home, or have a distributed workforce where there is no one central office to report into. If this is the case, you can work out an arrangement to keep traveling and work remotely for your company. Or perhaps you can negotiate to work as a part time freelancer at your current job. If you do it right, living abroad is significantly cheaper than being a tourist abroad. While businesses have quite a high failure rate even in home countries, there is the possibility to start your own business abroad. Some countries encourage foreign investment and give incentives and preferential treatment to those starting their own company, bringing investment, money and jobs into the country. Others have a lot of restrictions and laws against what types of businesses foreigners can run. You need to go in with your eyes open and talk to many expat business owners on the ground before starting, ideally in your target industry. Consulting or freelancing is a much lower cost and lower risk way of starting your own business. If you really want to pack your bags, go abroad, and also make a difference, there are many different organisations looking for volunteers to help a number of causes. This often requires you to have a bit more money saved up, as many will require you to cover your own costs. Some will offer you food and board, but it likely will not be luxurious. If you want an adventure though, and an "interesting life rather than a comfortable life", you can surely get it. Whatever your route, the door is open to tap into new markets and opportunities in rising Asia, understand a new culture, stretch your comfort zone beyond what you ever imagined, and become a global citizen. The only thing holding you back is your own beliefs of what is possible. Banner Image: Derek Stewart in Batanes, Philippines.